Hey everyone! Hope you all are having a great week. I know mine is doing pretty well. So for this look i wanted to have that biker vibe going on but still look casual. I am in love with this camel moto jacket i got from forever 21 for only $20 dollars. I got it on black friday when they had the 50 perfect off everything. 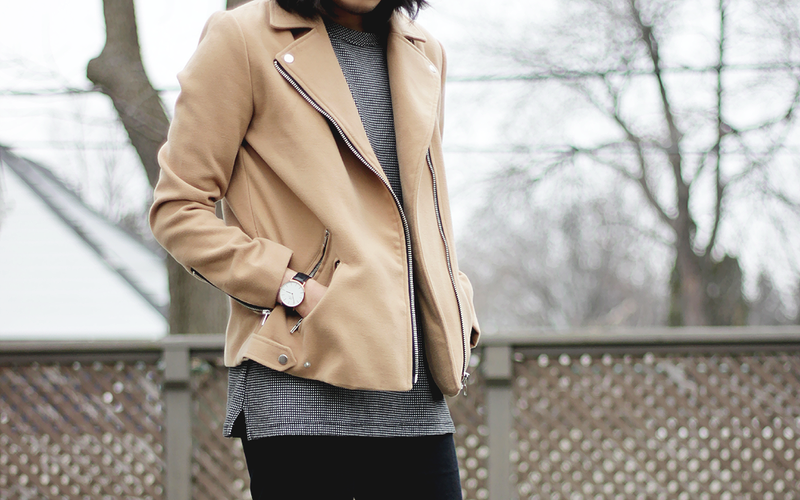 What i love about this jacket is that its not leather or suede, but its rather a soft faux like suede material. Overall i hope you like this look. Other than that. I have been loving Daniel Wellington since day one. I had an opportunity to work with them again this year. If you are looking for a perfect gift for someone you love for this Christmas coming. I think this watch is a perfect gift. You can use my Promo code 'BUENO' to get 15% off any watches on their website at www.danielwellington.com. Until next time and happy shopping. 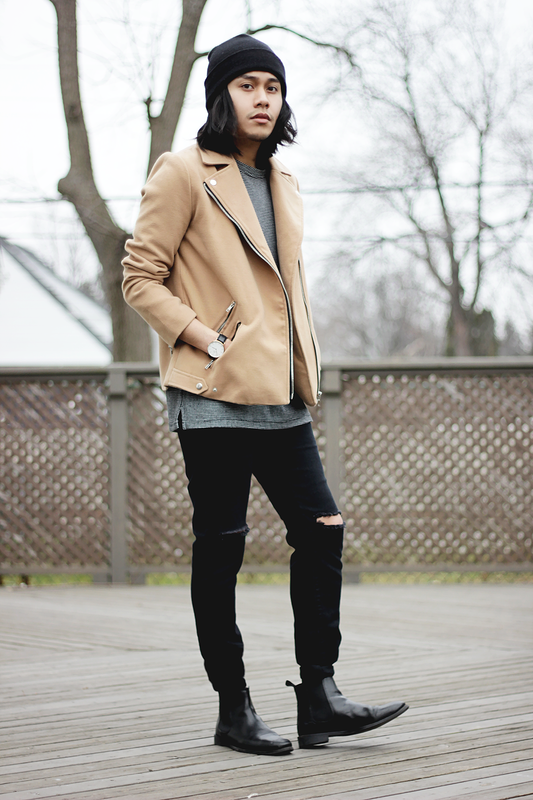 ripped jeans from hm, and leather Chelsea boots from asos men. 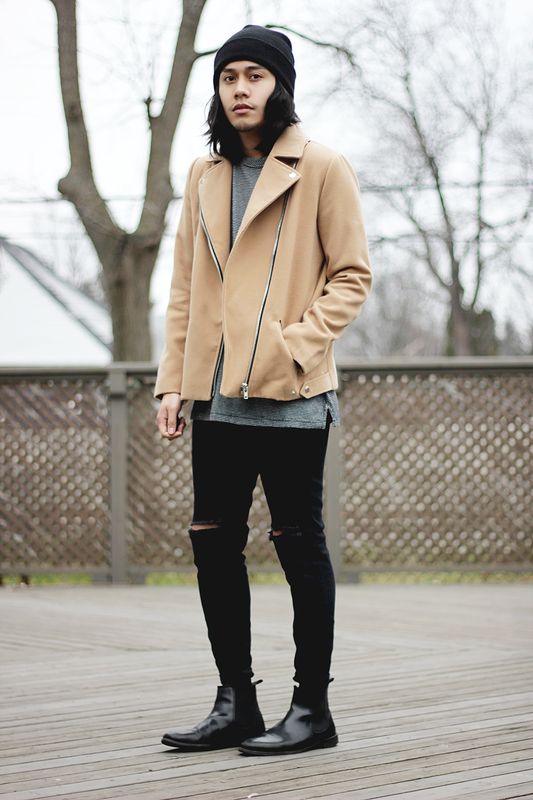 Dope look - awesome jacket!